As a business owner, you’re juggling a lot of day-to-day to tasks and may not have time come up with ideas for your next email or promotion. We’ve put our creative noggins together to create a full year’s worth of quirky and engaging email ideas. Each month centers on a specific theme. Within that month, you’ll find four out-of-the-box email ideas for your small business. Each month also contains a marketing tip to get your creative mojo flowing. This month, celebrate all things quirky by sending out emails around nontraditional holidays. Celebrating all the unusual, out-of-the-box thinkers that make the world so colorful, Peculiar People Day is the perfect time to get creative. Use this unique day to highlight an unusual or eccentric product that your company makes. It falls on January 10 each year. People love their pets. They love dressing them up even more. Encourage your customers to dress up their pets and enter your photo contest. It works especially well for pet stores, but any business should feel free to join in on the fun. The holiday is January 14. Or, take a minute to compliment your staff by sending an email invitation to a team-building event like this marketing agency did. Convince your customers to try something new on Opposite Day. Ask customers to give a product that they wouldn’t normally use a chance. The holiday falls on January 25. A small business can stand out by sending emails for nontraditional holidays. You don’t have to be literal with all holidays—no need to install a bar to celebrate Margarita Day but you can get creative. For instance, a plumbing business could send an email about Peanut Butter Day and drains moving as slow as peanut butter. It will stand out in your readers’ minds. Check out this site for a full list of bizarre holidays. With Valentine’s Day smack-dab in the middle of the month, focus your efforts on lovey-dovey notions in February. Any business can send emails for Valentine’s Day, not just restaurants and florists. Think creatively for Valentine’s Day content; here we’ve assembled some great examples and ideas. Borrow an idea from zulilly, the mom-centered discount shop. The company sent an email asking customers to “Tell us which brands make your heart flutter, and we’ll tell you when they’re on zulilly.” It capitalizes on the holiday and asks customers to sign up for more emails. Team up with other vendors in your area and create a shopping event around Valentine’s Day. Ten shops in Brooklyn joined forces and launched the “Fall in Love with Brooklyn” event. Customers were invited via email and given a map to hit all of the participating shops. Send your customers a list of romantic gifts they can pick up at your business. Apparel and lifestyle retail brand Free People created a “Valentine’s Gift Shop” — a curated collection of items that would be great for best friends or better halves. Valentine’s Day marketing doesn’t have to focus on flowers and champagne; the holiday comes with anxiety too. 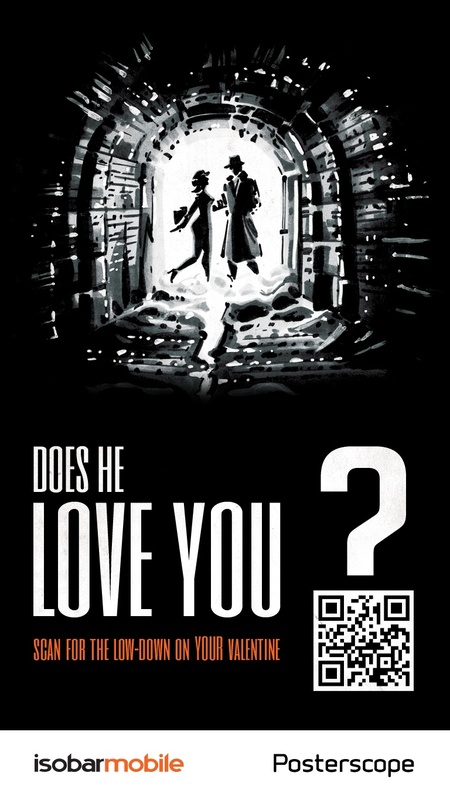 Capitalizing on the uneasy feelings of the holiday, Isobar, a UK cell phone company, sent an email to customers asking, “Does he love you?” The campaign contained a QR code that took customers to a promotional website. Try something similar that combines Valentine’s Day with a QR code. They work for some businesses and not for others, so only use if appropriate. Emails around sporting events always draw a crowd. This month’s ideas prove that you don’t need a sports-themed product to capitalize on the craziness that is March Madness. Before using March Madness in any marketing or advertising, make sure you check the legal guidelines to avoid any trouble. Many sporting and other events have very specific usage guidelines. Offer a special March Madness deal. When you think basketball, you probably don’t think office supply store, but online office supply store Shoplet sent customers a list of ten customizable office supplies that connect with the tourney. “This month, leverage the excitement behind March Madness,” Nicholas Womack, a business developer at Shoplet, says. He encourages other businesses to make a creative connection between their business and the big event. Bracketology is all the rage during March. So create a bracket for your brand like we did here at VerticalResponse with our Subject Line Slam Dunk contest. You can ask customers to vote for their favorite products and then pit the winners against each other in a knockout tournament-style battle. Announce the winner with a discount on that product. Send an email to your customers asking them to participate in a March Madness photo contest. Or, try a “Young Basketball Star” competition and ask parents to send in pictures of their kids playing ball. Did you know there’s a Guinness World Record for the longest time to spin a basketball with one hand? There is. The record is 10 minutes and 33 seconds. Use this awesome record to inspire a video contest. Email your customers and ask them to shoot a video of this rare talent. In April of 2005, the cofounder of YouTube recorded himself at the zoo and uploaded the site’s first video. Tell your customers that you’re honoring this digital anniversary by creating your first video. Pick a topic like thanking your customers, sharing your first product, profiling your first employee or remembering your first office location. Give your customers simple tips or a few creative suggestions on how to use your products. A boutique could create a video with styling recommendations, while an auto shop offers up simple car care advice. Bring your products or services to life with a video and email the link to your customers. Shorts company Chubbies is know for their inventive and humorous videos. To showcase a pair of American flag shorts, they sent a pair into space and recorded the momentous event. Give your customers a glimpse at what it takes to create your products or introduce your staff. A behind-the-scenes video is an excellent way to connect with your subscribers on a personal level and nurture your relationship. Celebrate your unique company this month by creating emails about all of the great things your business does. If your company doesn’t send out a newsletter, start one this month. It’s a fantastic way to keep your customers in the know. You can include a variety of topics in your newsletter. Brag a little when your company wins an award, offer a behind-the-scenes tour or introduce new managers. 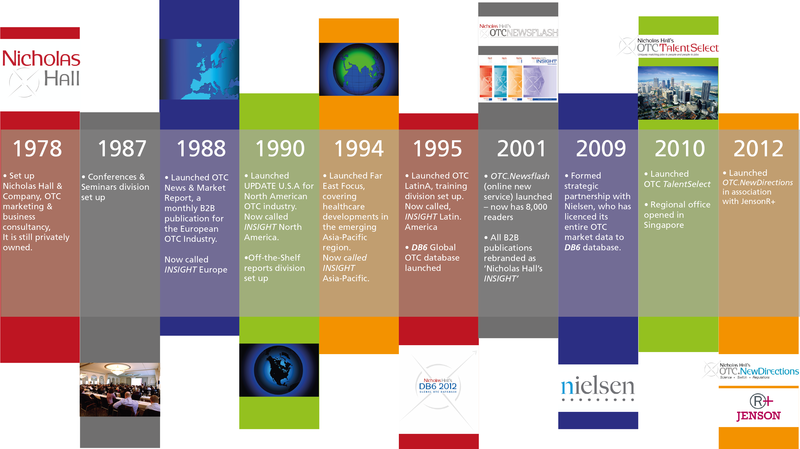 Sending a company newsletter is a fantastic way to keep readers up to date on everything happening in your company. Be sure to send it on a regular basis so your readers come to expect it. And we like to keep them fairly short so that our audience can get what they need without having to commit too much time. If your company hits an anniversary or lands a big client, tell your customers about it. 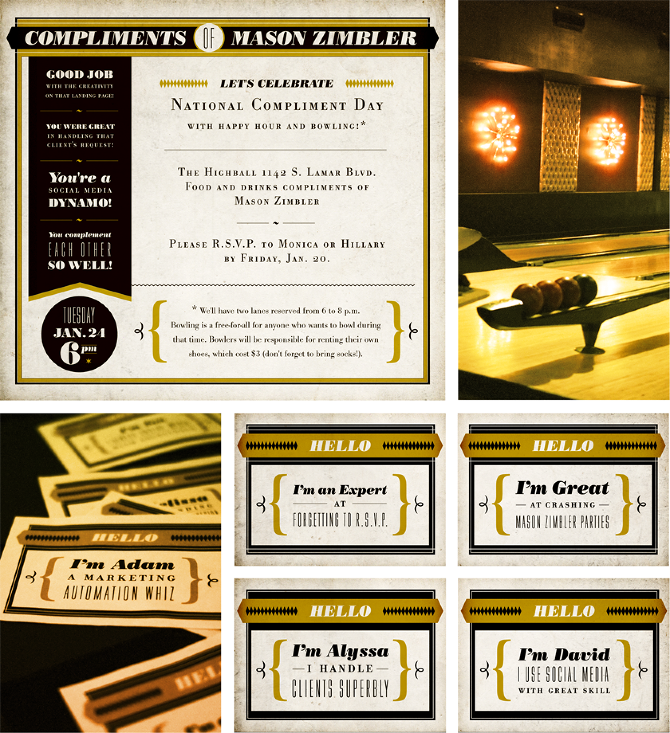 You could include the info in a company newsletter or send your customers a coupon in celebration. Either way, your customers will appreciate the update. Email your customers a piece of your company’s timeline. Include a call to action button that takes them to your site to learn more. Of course, you’ll have to have a complete timeline created on your site before sending the email. Here’s a good example. Everyone knows a mom who deserves some recognition. And no matter what kind of business you have, you can pay tribute to, or celebrate moms everywhere. You can do a “Bring Your Mom In” special or a “Moms get a special percent off” deal. Arts and crafts retailer Michaels held a Mother’s Day crafting event. May might seem like an unexpected time to send a “Year in Review” email, but this kind of promotion can get lost in the holiday hubbub. Instead, send one out in May and invite customers to a friends-and-family sale in honor of all your company has accomplished this year. Big box retailers use this kind of promotion a lot, but it can be effective for a small business too. Ah, warm weather is arriving (unless you’re in the Southern Hemisphere of course). Use this seasonal change to propel your email marketing this month. Include a list of local trails in the June edition of your company’s newsletter to celebrate National Trails Day, which is June 7. Remember, customers appreciate helpful, usable content, and a newsletter is a good place for it. Summer is a terrific time to give your customers a little incentive to buy. Menswear company Bonobos encouraged its customers to stock up on summer essentials and offered a discount. Don’t forget to create a clear call to action in your email. Send an email that not only welcomes the warm weather but also welcomes new customers, too. If a customer has bought a new product or signed up for a new service in the past six months, applaud their actions with a well-crafted welcome email. Team up with your local food bank this summer and get your customers involved. Send an email asking them to bring in canned goods like KinderCare Learning Centers did. Dads and grads rule in June. Offer special deals for dads and grads and get more customers in your doors in this traditionally slower summer month. Give grads something to spend all their graduation money on or their new found job earnings toward! If you’re in the U.S., get a little patriotic. Use the Fourth as a catalyst for a series of emails. This holiday is all about getting the crew together for a backyard barbecue. To help your customers host a rockin’ independence party, offer some tips to create the best gathering possible. You can also offer a Fourth of July discount. You don’t have to wait for Veterans Day to honor a vet. Devote a section of your newsletter to your employees who are also vets. Offer a “Vets in the Spotlight” section that talks about their service and their role in your company. Neil Armstrong walked on the moon in July 1969. In honor of this patriotic event, host a “Biggest Accomplishment Competition.” Invite your customers to add their biggest accomplishment to a growing list on Facebook. Give the biggest accomplisher a company-specific prize. Take pride in your American-made products by offering a discount. Along with a coupon code, use this opportunity to tell your company’s story and praise the employees who help create your products. It’s all about creating useful content this month. Here are a few ideas you can use to create “tips and tricks” emails. August 2 is Watermelon Day. Yes, Watermelon Day. Think up a way to connect your product to this fruit-loving celebration. Create a useful email that will help your customers get more out of your product or service. Try sending a how-to email once a month with a useful tip that helps your customers and your business. Serving your customers instead of always selling to them creates loyalty that lasts. August 15 is Relaxation Day. It’s a great day to send a reorder email out. Encourage your customers to relax by stocking up on your products. Send something similar to this reorder email from 1-800-CONTACTS. It’s back-to-school time. Use this month to market to both parents and students. Everyone has a favorite teacher, so invite your customers to participate in a favorite teacher contest via email. Put a call for nominations on Facebook, and then have your customers vote on their favorite entrants. Award the winners with a prize package from your company. If a deal has a deadline, customers are more likely to act fast. While you can use the last chance sale throughout the year, it makes sense to try and cash in on this busy time of year with a last chance sale. Don’t forget, college students are returning to dorms, too. Offer helpful tips for the college-bound group. For example, offer tips to create dorm decor that suggests a few products from your shop. Or offer ideas on how to cook ramen in a dorm room, pizza or restaurant deals, or a back-to-school oil change before they set off. From smartphones to social media updates, use this month to spin a few digital inventions into marketing emails. In October of 1971, the first email was sent. Honor this big event by sending an email recognizing this milestone, and ask customers to refer a friend via email. Groupon, the discount site, offers an incentive with its refer a friend program. Email an online survey like Prynt, a photo-printing company, did. Tell the recipient how long it will take to complete the survey, too. You can also offer an incentive to participate. When did your company first start using social media? Create an email that showcases your first posts and ask customers to join a conversation about how social media has grown through the years. It’s important to balance creativity with communicating your core message. Use creativity in certain places such as in subject lines, images or a fun theme, but keep the important information in the email easy to see and read. Let your email marketing reflect the season by creating emails that focus on being thankful. Incorporating testimonials into your emails, as clothing brand Athleta does, shows your customers that you value their opinions. Also, having a customer attest to the quality of your products often has a major influence on the buying decisions of other customers. Thanksgiving is all about the food, particularly turkey. Create an infographic that offers some interesting turkey facts. Think of a way to create an infographic that connects to your business and the holiday. Team up with a charity and create emails that center around your do-good spirit. Paper Culture, an eco-friendly stationary and invitations shop, has involved their customers in their efforts to support the environment. They plant trees for every order. And they even let their customers dedicate the trees if they want. After a customer makes a purchase, send a thank you email and ask for feedback. Online comments can bolster the reputation of products. Asking for a product review through email is a good way to nab positive reviews. Here’s an example from Garrett Popcorn. Embrace the gift-giving season with holiday-themed marketing. 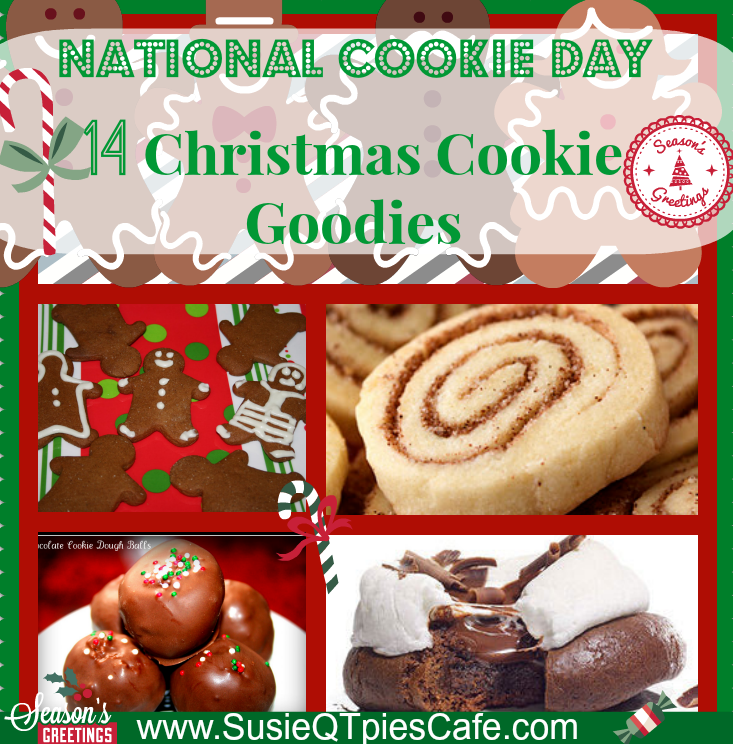 Celebrate this holiday by offering some holiday cookie recipes in your company newsletter like this bakery did, or give away a free cookie when customers come into your business. Coming up with gift ideas is hard. Take some of the pressure off your customers by offering a series of holiday gift ideas. Rather than send one long email with a dozen options, break your emails into smaller, more specific topics. This email from Nike focuses on gifts for runners. You can go as simple or as elaborate as you’d like with a holiday card. You can use free card-creating sites like Punchbowl. During the holiday season, everyone wants the gift-giving process to be easy. Remind your customers that your company has plenty of time-saving ways to purchase a gift. For example, Staples reminds customers that they can reserve an item online and pick it up in the store. With this guide, you won’t be scratching your head for email topics this year. 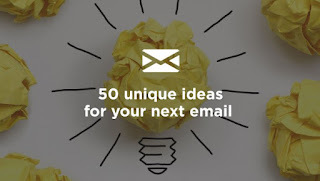 While we’ve listed over 50 email topics for you, there’s no limit on creativity. Have some fun and see what kind of quirky ideas you can come up with too. Always double check holiday dates to ensure you send your email for the right holiday at the right time. Otherwise, you might be creating your own funny holiday!